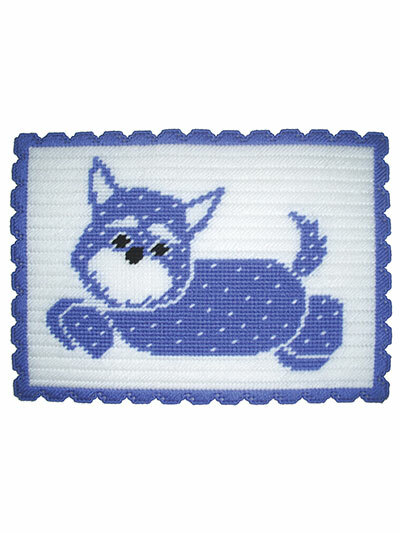 4 Whimsical doggies to stitch for your dog-loving friends! 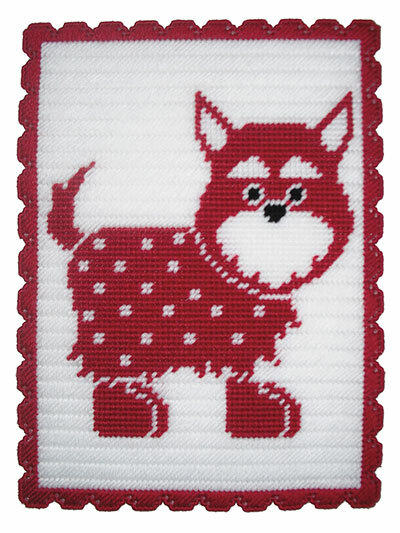 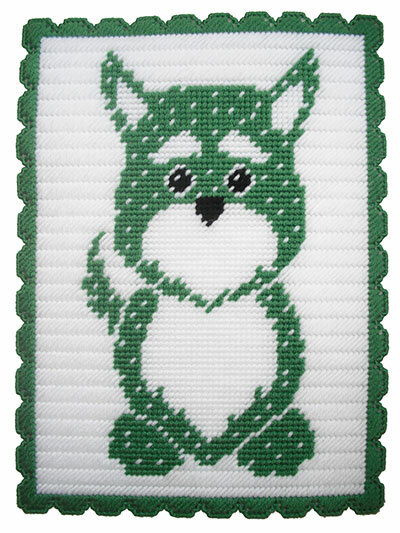 Stitch these 4-legged fur babies using 7-count plastic canvas and worsted-weight yarn. 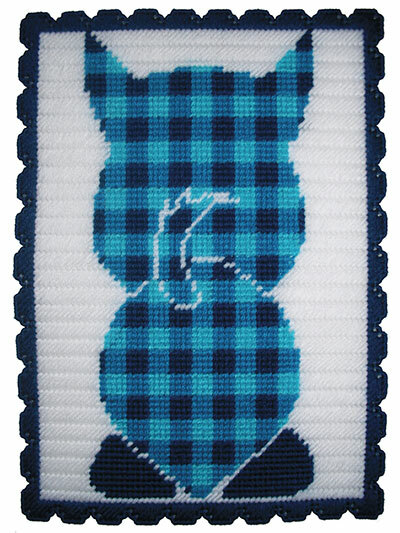 Each measures 10" x 13". 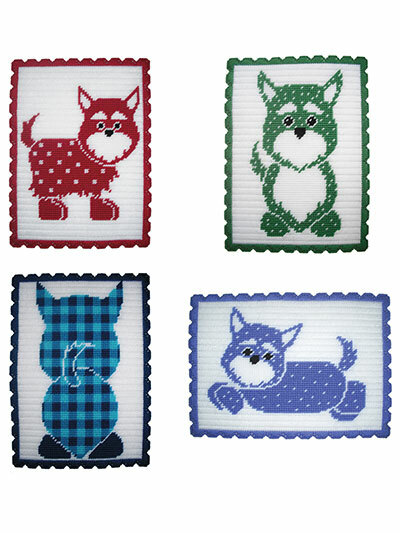 They will make great wall decor for your child’s room!